When I was a kid, friendship bracelets were the “go-to” craft when you wanted to get even the littlest bit creative. 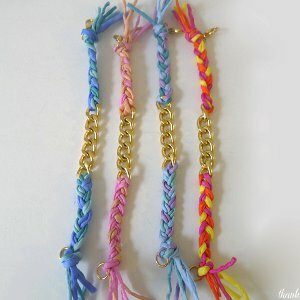 My friends and I would get together to show each other the new ways we learned how to braid our bracelets. Of course, we didn’t know how to do the nifty friendship bracelet designs like the Trendy Simple Stick Bracelet or the Hand-Crocheted Knit Bracelet, but we perfected the art of crafting the Classic Friendship Bracelets and the Tightly Woven Friendship Bracelet. 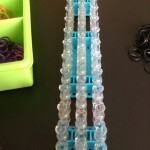 I taught my kids how to make the classic braided bracelet first, but then I found all of these cool new ways to make a bracelet! They absolutely loved these cool friendship bracelet design ideas that I found. Your kids will have a blast with all of these new friendship bracelet patterns! They can get super creative by adding beads to “bling-up” the bracelet, or they can make their friendship bracelets out of felt. There are just so many new and fun ways that they can create bracelets for their friends to let them know that they’re thinking about them. 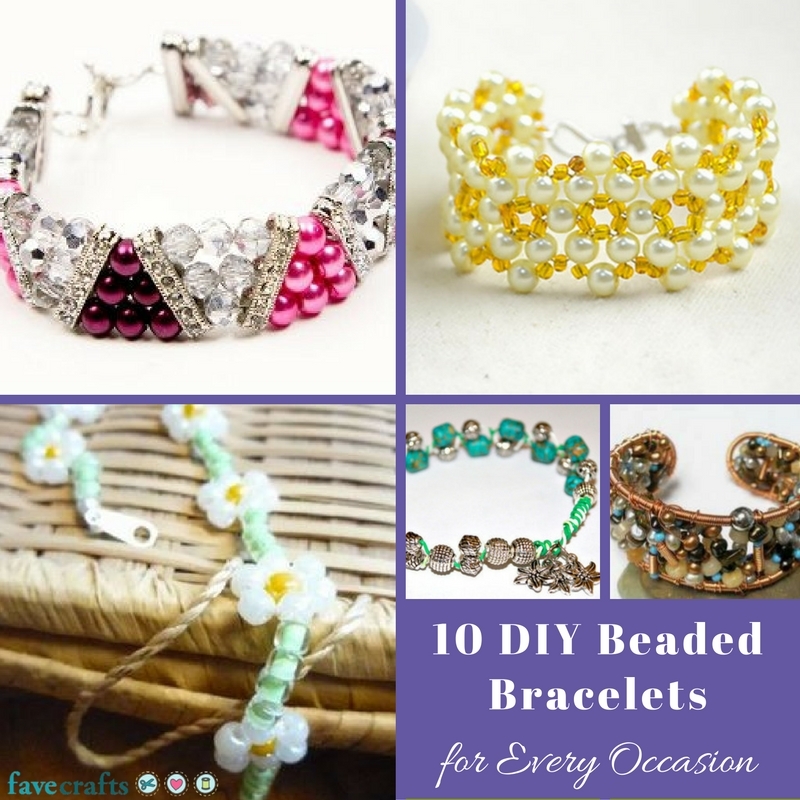 The great thing about these bracelet design ideas is that they’re super easy! 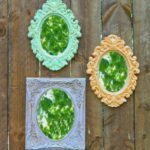 Most of them take no time at all, so your kids will have plenty of time to make a lot. They’ll also love being able to share the new ways they learned to make a friendship bracelet with their friends. Classic friendship bracelets are always super fun to make, and they’re a great way to start teaching your kids how to weave a simple friendship bracelet. 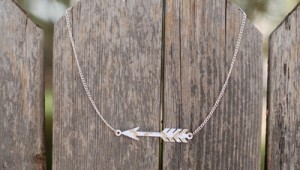 If you want to give your friend a little something extra on her bracelet, then put some bling on it! 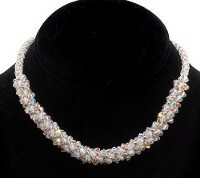 You can never go wrong with a little extra sparkle. 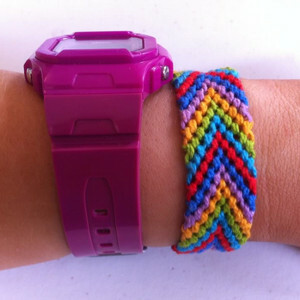 There are so many fun ways that you can add something else to a friendship bracelet. 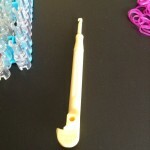 Your kids will love being able to add colored beads or gems to their hand-woven creations. My little girl loves putting jewels on the bracelets that she makes. If you want to make your friendship bracelet design even more unique, then why not make it out of something other than just string? 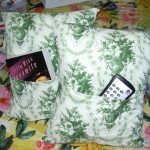 You can make it out of felt, or you can put your favorite buttons on it! 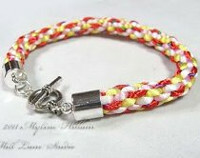 There are just an endless amount of cute and fun ways to make your friendship bracelet a one-of-a-kind. 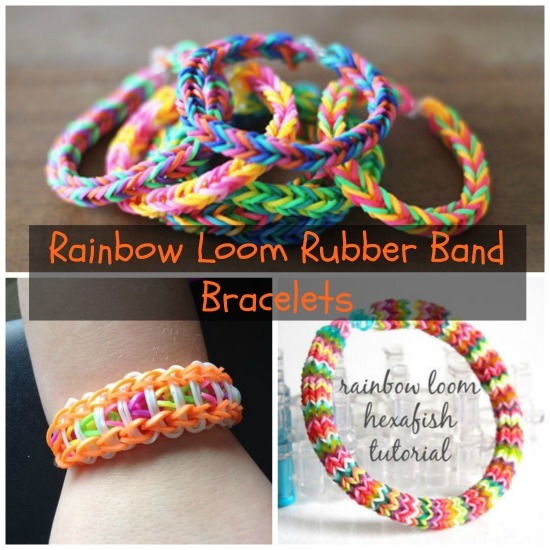 What fun kinds of friendship bracelets do your kids know how to make? 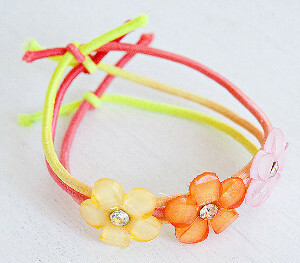 One of the best ways to accessorize for summer is to pretty up your arms with friendship bracelets! 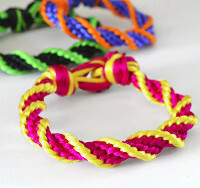 Great for boys, girls, women, and men, friendship bracelets have made a comeback…and we’re so glad to see their return! 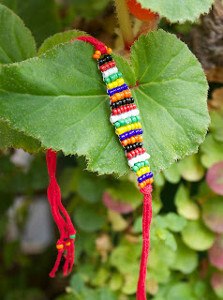 Often made with embroidery floss, like this Ultimate Friendship Bracelet, friendship bracelets are fun and easy projects that can be worn individually or layered for a really unique effect. 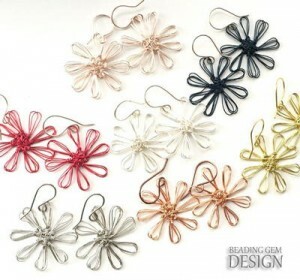 Depending on how you tie your yarn or thread, you can create all kinds of really neat designs. 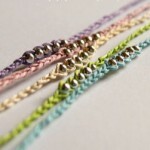 As a way to celebrate summer, we’ve gathered up 12 of our favorite friendship bracelet patterns! Ranging in difficulty and style, these summer bracelets are sure to satisfy your crafty itch this weekend! Can’t get enough friendship bracelets? 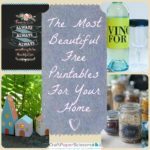 Scroll on down for a bonus giveaway we just know you’re going to love! BONUS! Can’t get enough friendship bracelets? 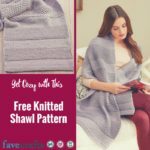 Check out this week’s giveaway! 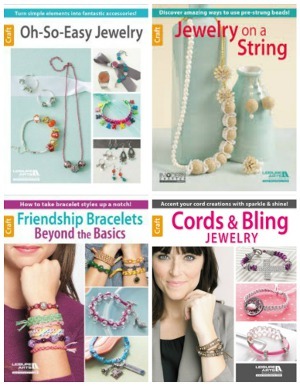 We’re giving away a collection of 4 awesome jewelry books, including Friendship Bracelets: Beyond the Basics; Jewelry on a String; Oh-So-Easy Jewelry; and Cords & Bling Jewelry. You have until August 1st to enter, and you can enter to win once a day…so the more you return, the greater your chances of winning this awesome giveaway. Head on over to the giveaway page now and register to win today! Good luck! The summer is coming, and you know what that means…short sleeves and tank tops! And what better way to show off your arms than with some colorful and fun DIY bracelets? 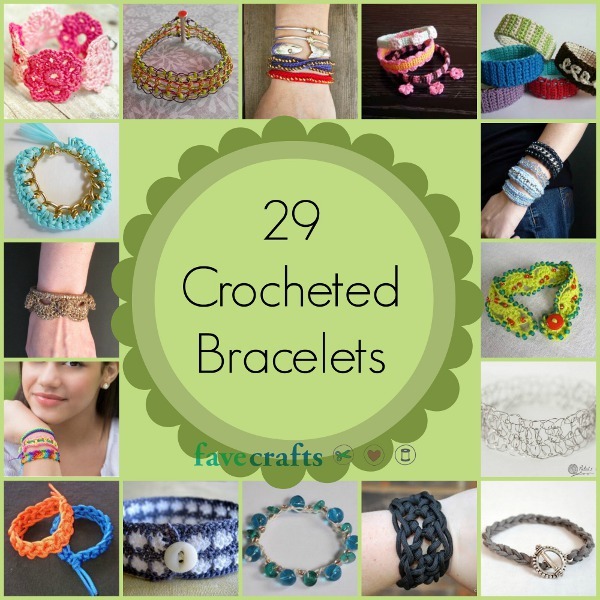 With this awesome collection of 29 Crocheted Bracelets, you’re sure to find something that’s perfect for accessorizing your favorite summer outfits. 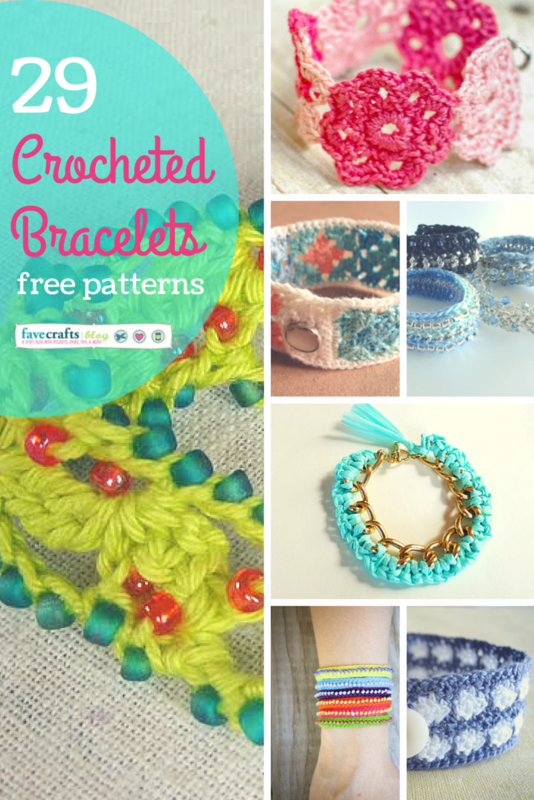 Crocheted bracelets are great for using up leftover yarn, and they’re so fun to mix and match. 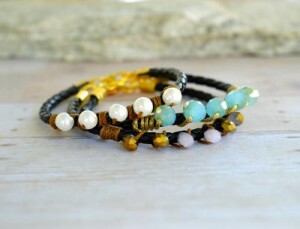 Stack bracelets of various sizes and shapes to create a fun look that’s sure to please. 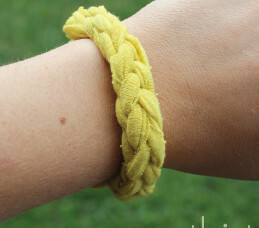 You can also cover up old bangles and bracelets with yarn to create a whole new accessory in no time flat. Crocheted bracelets are super comfortable to wear and are great for the summer, since they’re lightweight and fun to stack. 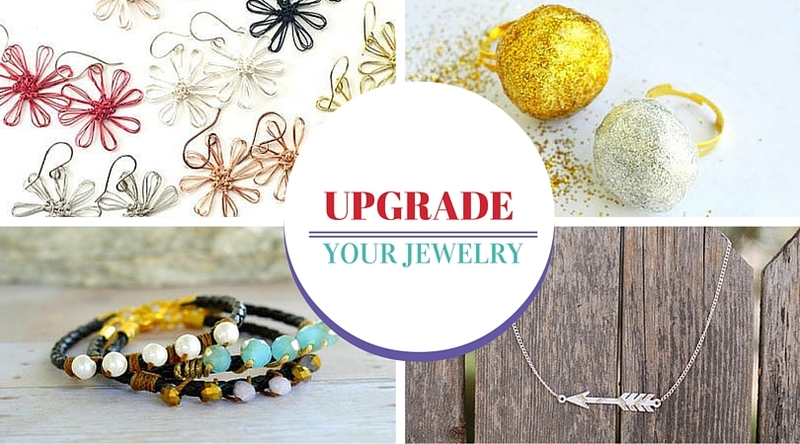 Have you ever crocheted jewelry before? 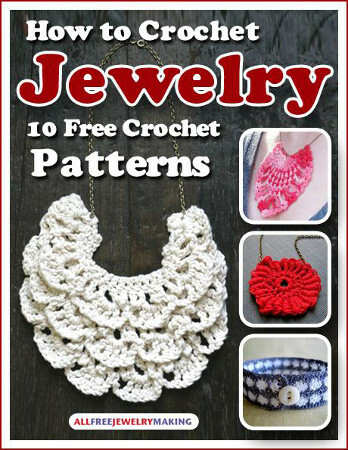 With How to Crochet Jewelry: 10 Free Crochet Patterns, you’ll find the instructions to crochet soft necklaces, dainty earrings, and plush bracelets of all kinds. Stitch up a lacy bib necklace or a pretty little medallion pendant. Create a pair of delicate earrings that look like tiny doilies. Crochet bright and bold bangles or a cute little flowery cuff. 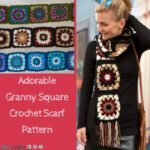 The free crochet patterns in this collection encompass such a variety of styles and skill levels, so there is something for everyone in this collection. 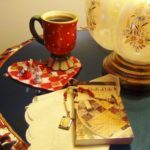 Follow AllFreeCrochet’s board Crochet Jewelry Patterns on Pinterest. 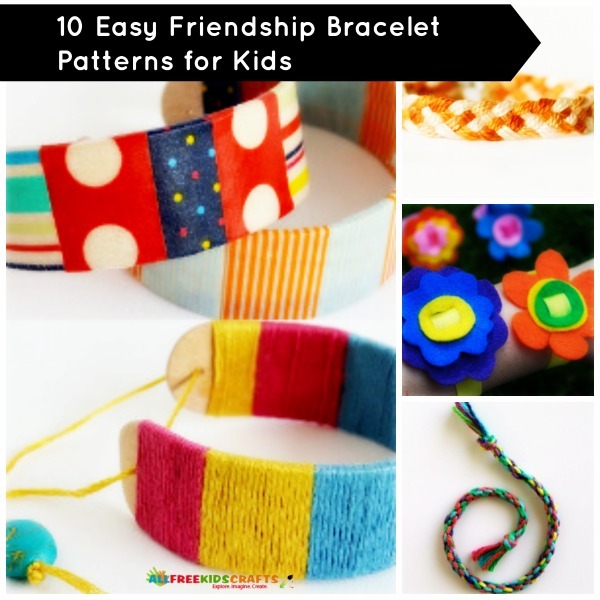 When you picture friendship bracelet patterns, you probably think of basic embroidery floss and knots, but friendship bracelets have come a long way since our playground days, and they’ve never been more on trend. The very definition of “friendship bracelets” has expanded to include all kinds of awesome arm candy, from crystal-embellished macrame bracelets to colorful leather cord wrap bracelets, and in our new free eBook, How to Make Friendship Bracelets: 12 Fun Friendship Bracelet Patterns, you can find 12 ways to make friendship bracelets that you’ve probably never thought of before. If you think friendship bracelets are just for kids, think again. This collection of patterns includes designer-inspired knockoffs that any fashionista would want to get around her wrists. These chic DIY Silk + Chain Friendship Bracelets are inspired by a much-buzzed-about Ariel Gordon design and look just like the original (but cost way, wayyy less). And they couldn’t be easier to make! If basic string bracelet patterns seem like a bore to you, then you’ll love the super hip Punch and Judy Friendship Bracelet, which turns up the volume on traditional friendship bracelet designs by adding bead weaving into the mix. 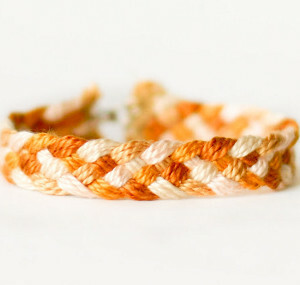 This bracelet has a tribal vibe that is so fun and boho chic, don’t you think? But don’t worry! If traditional embroidery floss friendship bracelet patterns are what you’re looking for, this collection includes those too! 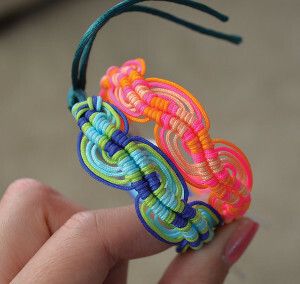 Projects like the Classic Spiral Friendship Bracelet tutorial and the Wavy Friendship Bracelet will get you your recess-esque friendship bracelet fix (with a twist). 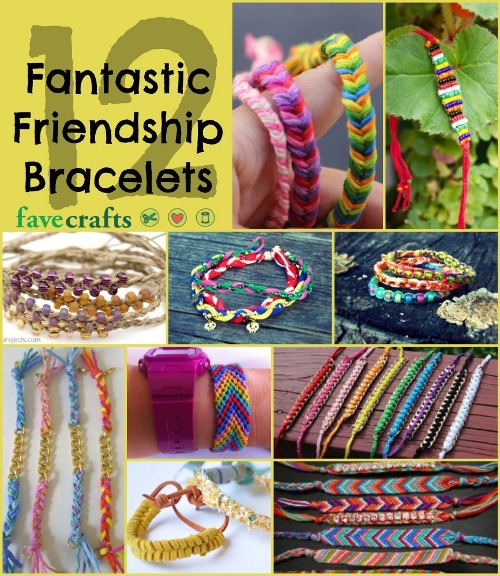 This is just a little taste of what’s in store for you when you download your free copy of the How to Make Friendship Bracelets: 12 Fun Friendship Bracelet Patterns free eBook. 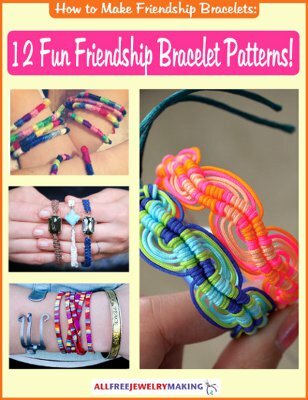 In addition to these awesome friendship bracelet designs, you’ll also find a crochet pattern, a bangle bracelet tutorial, a painted wrap bracelet, and macrame patterns galore. There’s definitely something for every style and skill set included in this collection. 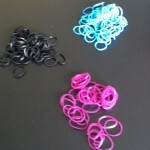 Grab your free copy and make an arm party today! Will you give these friendship bracelets to your BFF, or will you keep them all for yourself? Macrame jewelry has been huge this year, and when it comes to making macrame bracelets, the more the merrier! 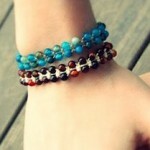 Macrame bracelets look best stacked, which means you can make as many as you want. The best part about macrame is that it’s a super simple jewelry making technique, so even beginners can get in on the fun. 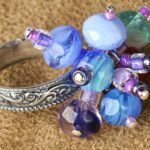 From simple square knots to more intricate micro-macrame, there’s something for every style and skill level in the world of macrame jewelry patterns. 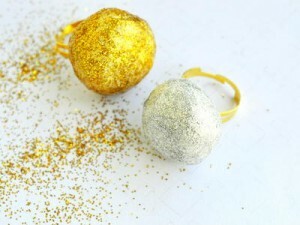 Want to get your hands on this year’s hottest jewelry-making trend? We’ve rounded up some of the very best macrame bracelet patterns so you can tie yourself up in some DIY jewelry fun. Go ahead, macrame the day away! 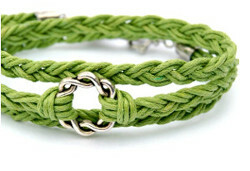 For even more fashion-forward macrame jewelry, check out 14 Fabulous Macrame Bracelet Patterns! 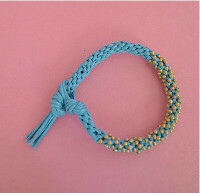 Have you ever tried making macrame bracelets? So easy, right? !